Sunday Brunch 12.00 -15.00 hrs. 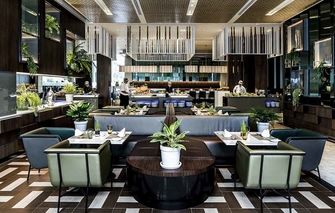 Cuisine Unplugged is a contemporary all day dining restaurant serving a wide selection of International gourmet cuisine in a visually dramatic glass wall and large open kitchen with live cooking stations, allowing plenty of interaction between you and chefs. Manage with love from French Executive Chef Dominique Ferchuad and his team, Cuisine Unplugged highlights freshness and high-quality ingredients for a health-conscious lifestyle through its impressive international buffet featuring the best seafood buffet in Bangkok. Indulge in unlimited fresh seafood on ice including French Fine de Claire oyster, rock lobster, prawn, crab and many more selection along with international fare. 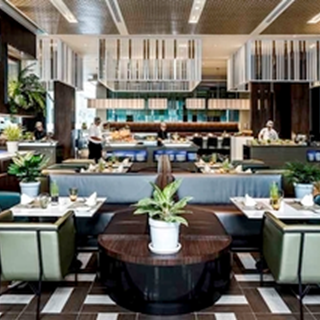 Choose from innovative pizza & pasta, Japanese maki and sushi, local Thai delicacies and much more. Cuisine Unplugged serves everything you would imagine for a dream buffet plus a whole station dedicated to devilish desserts. For family, our Sunday brunch features premium dishes from the four corners of the world and super activities for kids in a resort setting. Wait no more. Enjoy a perfect breakfast spread, elegant lunch, or a memorable dinner that is perfect for family and colleague and just as perfect for a romantic moment with your beloved. Not as good as expected for food, atmosphere, service. The seafood is not as fresh as I would expect as compared to some other hotels that I have patronized. There have a variety of food and the staffs was very nice . Really love it   I will be back for sure. Good Buffet Seafoods In Town. Very professional and friendly service. Definitely worth the price and I can't wait to eat at Cuisine Unplugged again! food is okay. crabs were not that great as i used to have. dessert zone is good as usual. waitress put us at corner regardless our request ti stay inside, consquencely got some flies around table and ruined the time as its my birthday dinner which i have stated when i made the booking. the overall experience is decreasing compared to my dining experience in the past. Overall food and service are tip top. However drinks are not provided which is a shame i feel. If drinks are inclusive that would made it a perfect dining area. Great taste seafoods with excellent service. I think you should to free water. and food is not various. Great service mind. Nice take care with sweet smile. Great in overall except one of our seafood bbq dishes was overcooked/partially burnt. Need to improve on consistency. 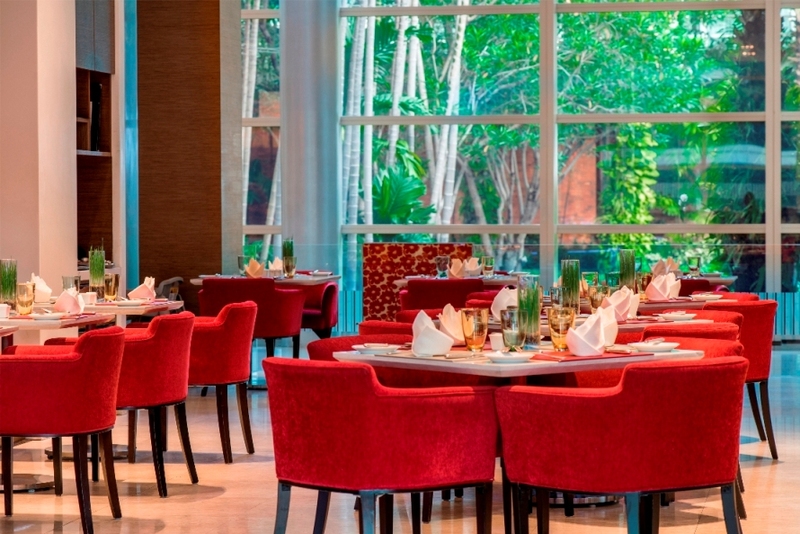 All are number one in Bangkok,  especially your associates are well trained in  Guest Service Culture and Attentiveness. We love what they do. People who enjoy lobster find that putting sauce on the claws and joints inconvenient and wonder why a restaurant would want to make eating them difficult. Please consider changing your presentation.